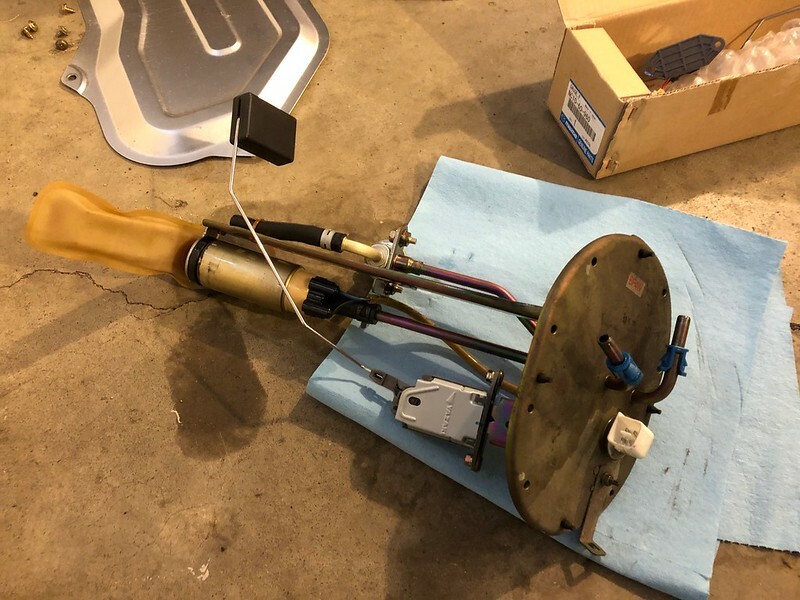 East Coast Supermiata S2 Clone - Page 2 - Miata Turbo Forum - Boost cars, acquire cats. Thanks! You should build an S2, it should slot in pretty well to ST5/TT5. And if you make it up to Summit anytime, you should run our SCCA TT series. Good times! I do think S2 and TT5/ST5 is going to be the ultimate plan. Since I'm just getting back into it I've left the car stock to get some seat time in and get re-acclimated to racing and see how everything shakes out. Very cool. I run Shenandoah and Jefferson Time Trials with Pa Hillclimb Assoc. I wouldn't mind running with you guys sometimes as well. Love the Shenandoah course. That muffler failure is crazy. Is that a Magnaflow? Would you mind posting your summit point main times? Wanna see how many light years behind I would be. Probably not as far behind as you think, 1:29.8. Summit Main is my worst track, and I set that time 3 years ago. 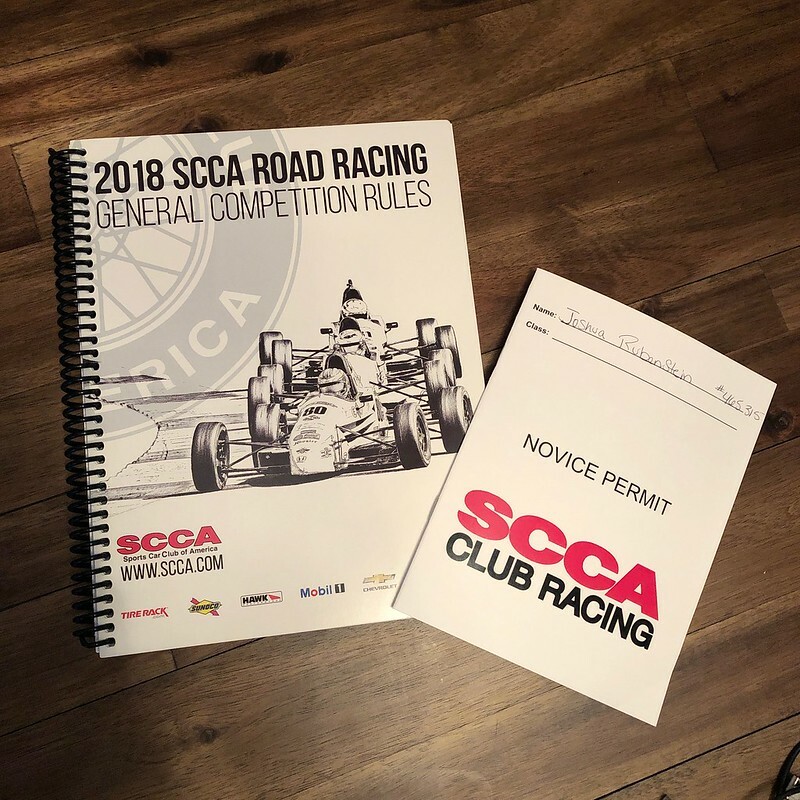 I'm planning taking the SCCA club racing driver's school this year, plus doing 3 MARRS weekends and our 1 TT weekend to try and fix that. 1:26 is the goal. Well.....you're right, I've gotten down to 1:30.3 but probably making way too much power and I was on RS4'S. Not much of a comparison. I'm leaning towards a TT3 build but would need to run 1:25's to do that. I'm leaning towards a TT3 build but would need to run 1:25's to do that. Yea, TT3 is down around the 18's. 25's is SM territory. Yeah.......long way to go, I have no real feel for what new hoosiers and aero will do for my times, not to mention I have a long way to go with my driving. I will be instructing at the SCCA school milkmandan, hope to see your car or even get you as a student. Your shenandoah video was impressive. Ive run SM and SSM for over 15 years and am here doing research for my new miatabuild, similar to yours but more hp and lighter but there is no scca class for it unfortunately. I ran a 1:26.1 on summit main in an SM so your car could easily beat that especially with the repave. Thanks Jedd, look forward to meeting you. I'll be running in Group 3, as a fake STL car. 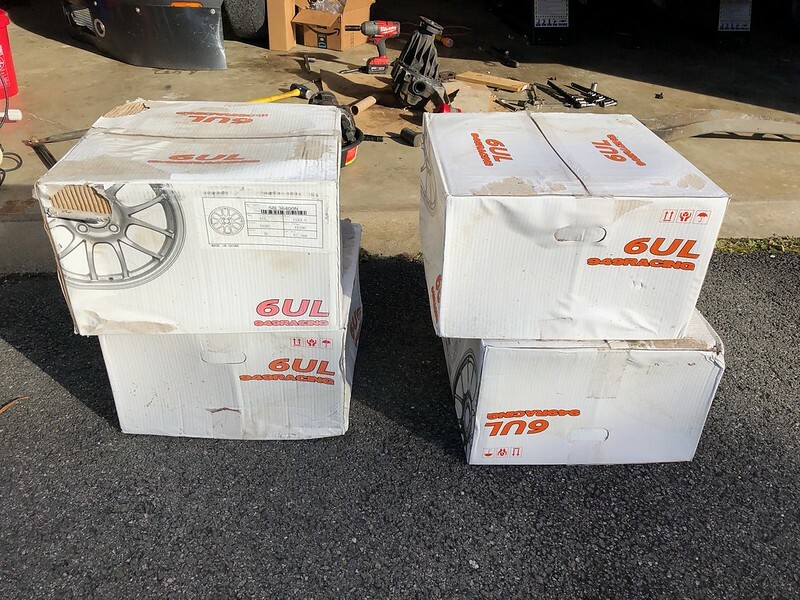 Picked up these 15x9 6UL's from Goodwin Racing for a $100 discount cause the boxes were a little fucked up. Win win win. 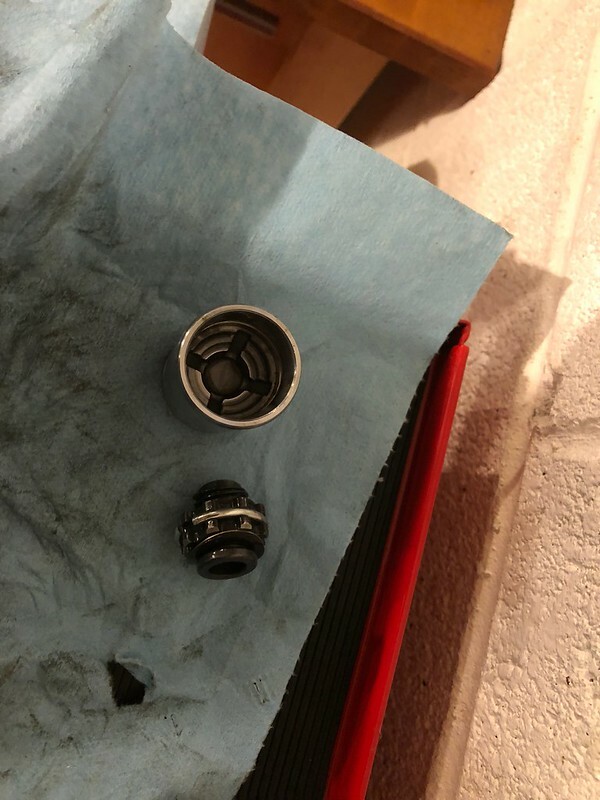 The diff went back in with a set of Prothane poly bushings after some moderate difficulty getting the axles back in, and then inspected and repacked the right front hub. Changed some fluids and put this Joe's Racing XL mirror to cap the weekend off. I'll have sm drivers most likely but will swing by and check out your ride. I wanna build a real lightweight miata and have been planning it for years, about to pull the trigger. 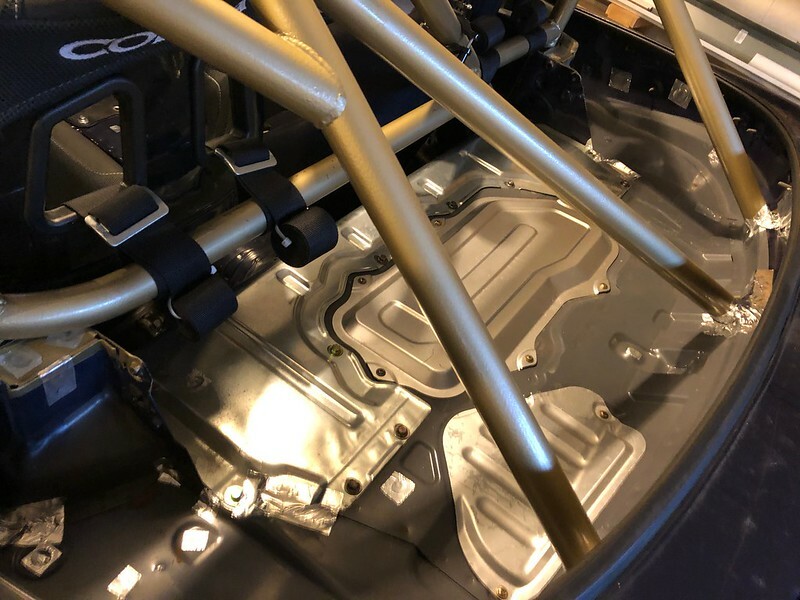 Nice cage choice btw, I built cages at Piper for over 15 years, hundreds of miatas. 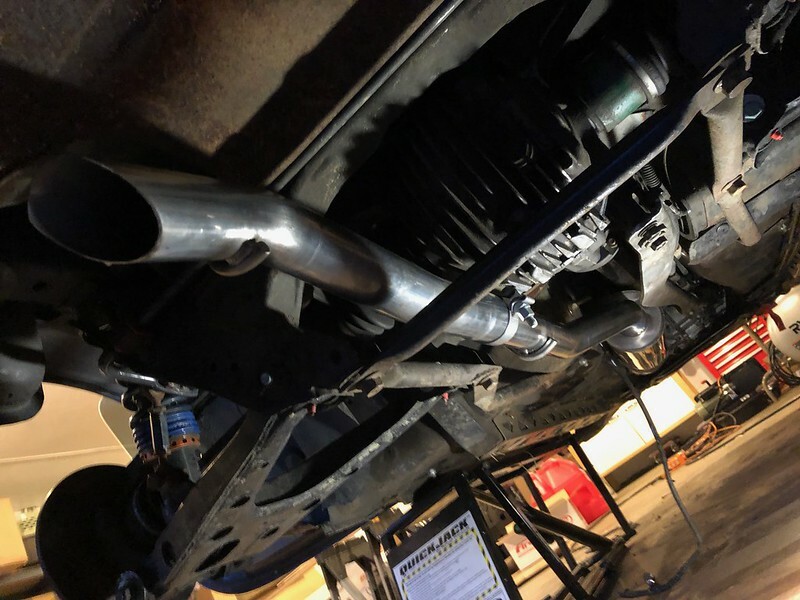 Shiny new exhaust is shiny. Pulled the fuel pump to replace the level sender, to try and fix a CEL I've had for almost a year. Haven't fired it up yet to see if it worked. 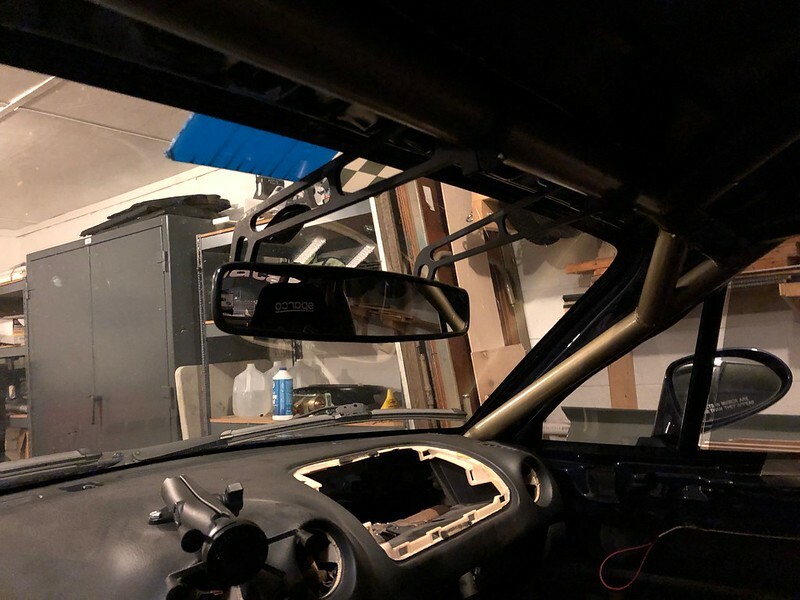 While the back of the car was apart, I replaced the parcel shelf cover for one that wasn't trimmed for a rollbar, and covered taped over some holes. Pulled all of the parking brake hardware, I'll gut the calipers when I change the seals out soon. Just ticking boxes off the list, still have quite a ways to go before driver's school in March. Googled some Spec Miata Wisdom and gutted the parking brake cylinders, and pulled all the cables and handle. Maybe my rear brakes will work for more than 1 event at a time this year! 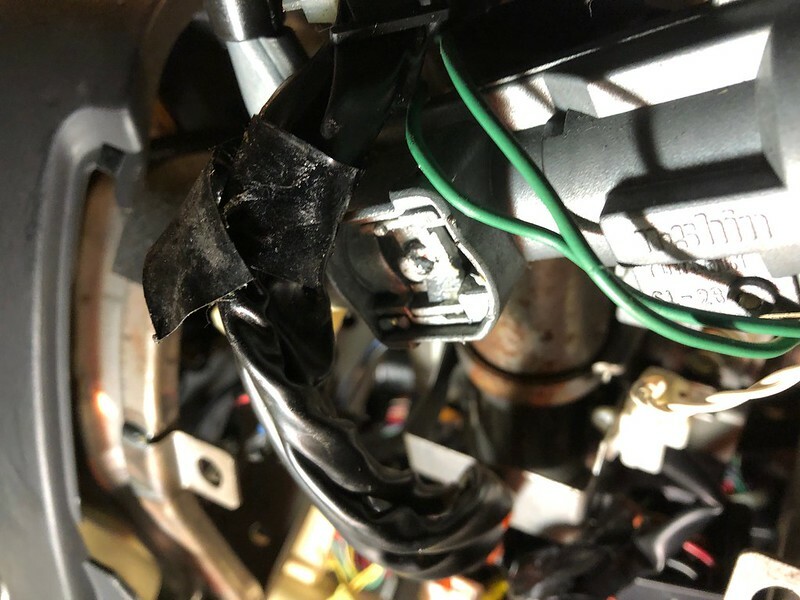 Disabled the ignition lock, just drilled out the cover on the ignition and pulled all the springs, then RTV'd it closed. 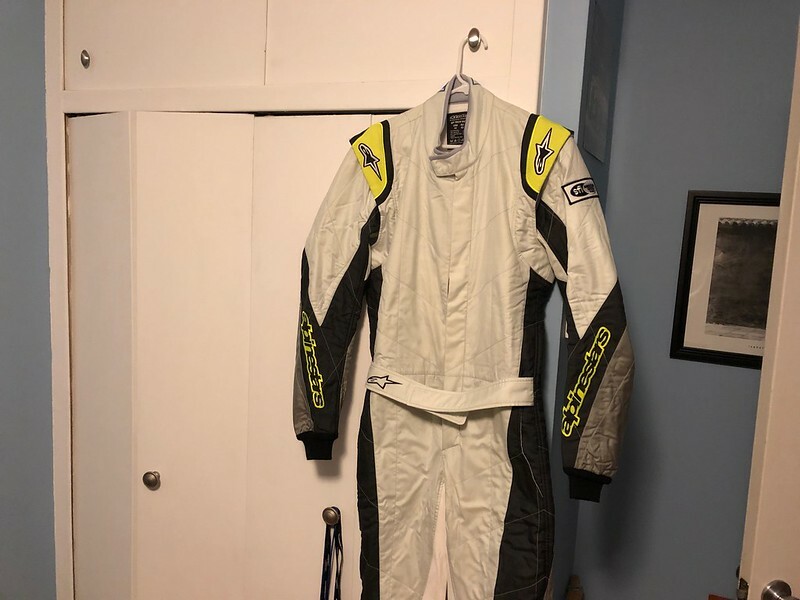 Picked up this Alpinestars GP Tech suit and some OMP underwear from a friend with a distributor account for over $1200 off MSRP! I've worn quite a few different suits from multiple manufacturers, GP Tech is still my favorite. Nice choice! What's the benefit for the ignition lock delete. I wanted to this for a while and can't seem to find a step by step. The SM forums have some issues where once you delete the lock, the key sometimes gets stuck. Eliminates the unlikely possibility that the steering wheel gets locked while on track. Required by the GCR. The key can get stuck if you take the springs out but don't secure the "pawl" (I don't know what else to call it) from bouncing around and back into the indent on the shaft that locks the column - RTVing it down in the bottom position is supposed to prevent that from happening. No, we have an unregulated (performance wise) bracket racing class that I'll be running to get my full license, want to keep the car S2 legal for when WRL comes around. This is all you really need. Look at the underside of your ignition, and you'll see the red area covered by a plate. Drill in the center of that plate with a 3/8" bit, and you can pull out the spring with some needle nose pliers. The plate on mine cracked so I pulled all of it out, and you can see the pawl outlined in green. Since the springs are gone it'll rest in the lower (unlocked) position. I RTV'd that in place to keep it from engaging and keep dirt and dust out.